Unequivocally, it is time to focus on growing revenue. To do that, businesses must transform their lead generation efforts into predictable, sustainable and leveragable pieces of their go-to-market strategies. 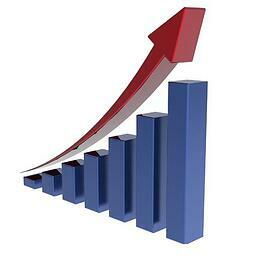 What impact would a steady stream of high quality leads do for your sales efforts? How much time, money and energy have you expended in an effort to develop such leads? If you're like most small and mid-size (SME) B2B companies your answer to both questions is: "A lot!" The question is, why are high probability leads so difficult to get? Over the last three years, we have been studying, breaking down and rebuilding the entire process of lead generation for SME B2B companies. We've tested the concepts on ourselves first, then confirmed our findings with some of our clients. Now we're ready to share our findings with you. Join us October 31st at 2pm as we share the answers to this question, and, more importantly, share the secrets that will enable you to develop lead generation campaigns that not only create quality leads, but leverage your sales efforts as well. The 3 myths that cause your lead generation efforts to fail, before you even start. The 3 questions you must answer before beginning a campaign or lead generation effort. The 5 steps to creating lead generation campaigns that work. At this webinar, I'llshare our latest research, insights and best practices. What's more - the webinar is free. So, join me on October 31st to ensure that you finish 2012 strong and get 2013 off to a fast start.